Personal space for study and work, drawing and homework, Start floating wall desk comes in 90 / 120 / 135 / 150 cm and in many colours. 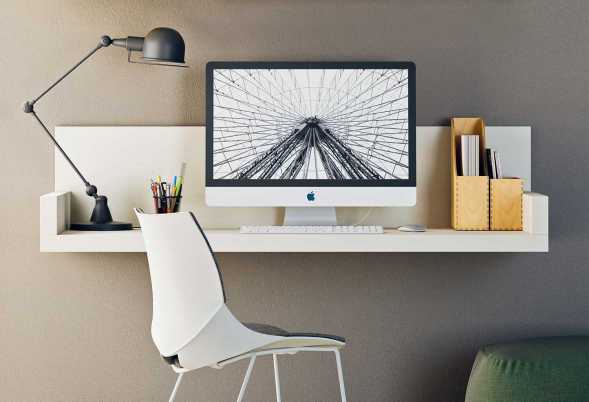 This wall mounted desk is a great solution for small spaces. 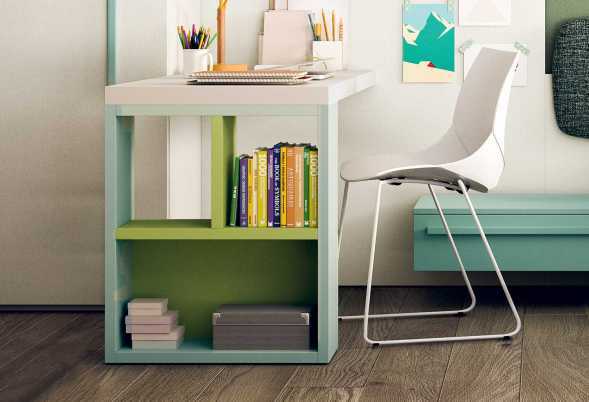 The Start desk bookcase combo is a space-saving solution for kids and teens bedroom or a home office. Available in 120 / 135 / 150 / 165 / 180 cm and more than 50 colours. Start sliding desk for bedroom sets. Available in different widths and thicknesses. 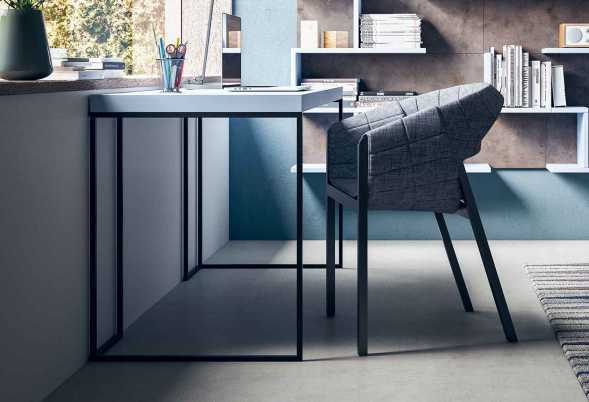 Charme is a space saving desk with shelves and cool metal leg, also available as peninsula desk you can attach to wall or integrate with bunk beds. Measures cm 120 / 135 / 150 / 165 / 180. 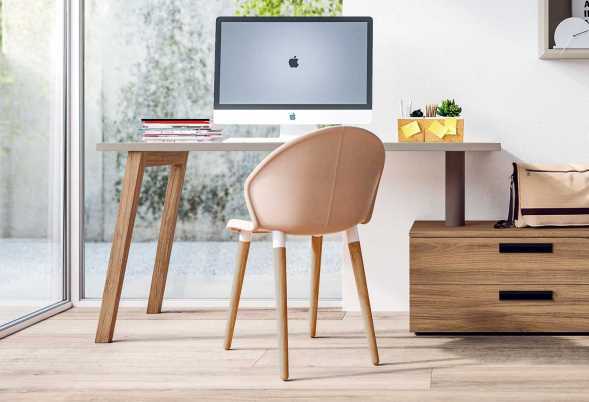 A cool workspace, Kios is an industrial style kids' metal frame desk with a minimalist design, available with two legs, integrated bookcase or drawer units. Legs and top in many colours. Slitta is a kids' desk with one drawer you can mount to the right or left, a spacious worktop and modern sleigh legs you can also combine with drawer units. The perfect place to sit and study. Start - Drawers desk with integrated drawers available in several measures, finishes and options. 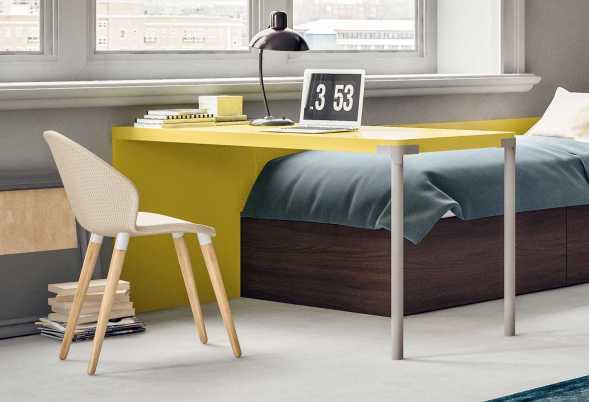 Consolle desk for bedrooms with customizable side with drawers, storage units or floor bench. Wood Bridge is a cm 120 desk with 2, 3 or 4 drawers. For kids bedrooms and home offices, also available cm 135, 150, 165 and 180 wide with a chest f drawers. Slim is a rectangular wall desk with two rounded legs and made to measure top that fixes to the wall, to a panel or a bookcase. The desk offers plenty of sitting and work space. 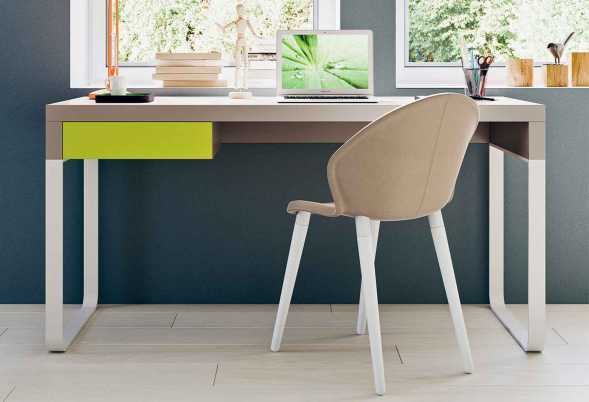 Dattilo office desk, in several widths and depths. Wide selection of accessories such as PC holder, keyboard shelf and partitions. 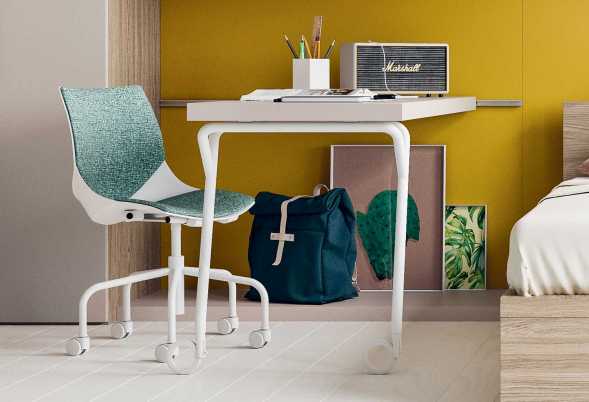 Quadro is a study desk for kids or teens bedrooms available in 120 / 135 / 150 / 165 / 180 cm or cut to size top, and almost 50 colours to choose from. Also available as peninsula desk. Kids bedroom corner desk Start. Available in many models and colours, also with scratch proof top. Start linear desk for bedroom sets, available in different measures and leg models. Start - End of Bed desk with storage box. Ideal for a small bedroom located between the bed headboard and the wall.